This set includes the DiMarzio DP707 LiquiFire 7 and DP708 Crunch Lab 7 pickups for 7-string guitar. One thing has stayed consistent throughout John Petrucci's long and successful career: the DiMarzio pickups in his guitars. John has been pushing the envelope of progressive metal since the late eighties, and the DiMarzio LiquiFire 7 neck and Crunch Lab 7 bridge pickups resulted from DiMarzio's most recent collaboration with John. He used these throughout Dream Theater's tenth studio album, "Black Clouds & Silver Linings". John swears this is the best live and studio sound he has ever had. The DP707 LiquiFire 7 neck pickup provides a flowing, singing solo tone when used with a heavily overdriven amp and a clear chord sound with a clean amp setting. The sound John likes in the neck position of his 6-string translates very well to the 7-string, with fat highs and clean lows for smooth solos and tight bass lines. The LiquiFire 7 isn't an exact duplicate of the 6-string version. The attack is a little more focused and the voicing is shifted down about 500Hz to bring out the sound of the seventh string. 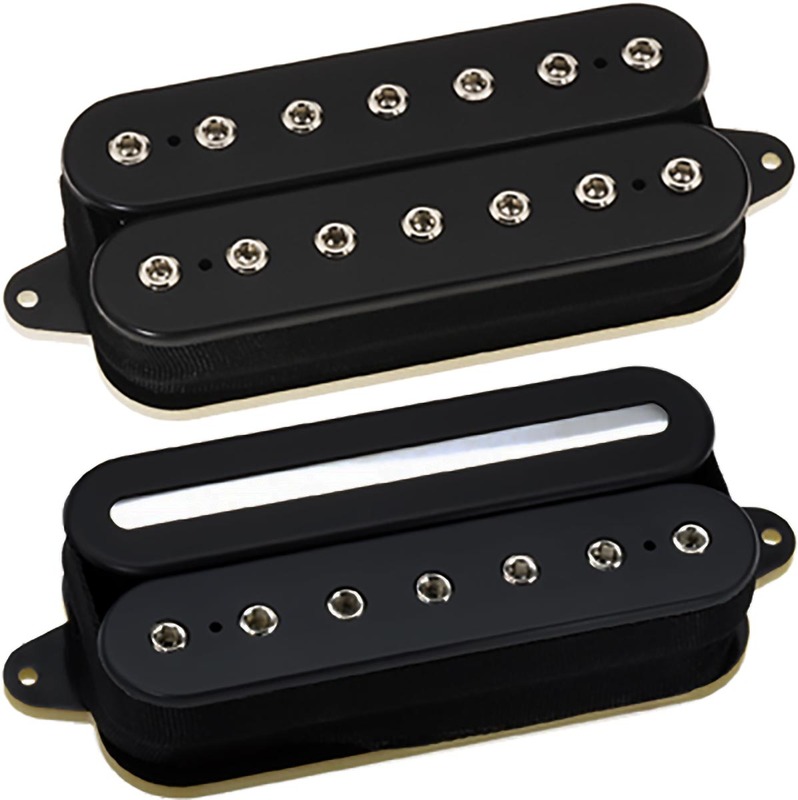 The DP708 Crunch Lab 7 bridge pickup has a big, tight sound that's neither muddy nor thin. The Crunch Lab is noteworthy (bad pun alert) for what it doesn't do: it's not a screamer, and it's not about thundering lows. Its physical appearance is identical to the D Sonic™, but the internal design is a lot different. It's louder, and the highs have more depth. The lows and mids are more open, and this is crucial for playing chords with body and presence through a gained-out amp. The voicing of the pickup is also different enough to the point that John prefers the Crunch Lab to be installed in almost all of his guitars (including the JP Bari) with the solid bar toward the neck, regardless of the guitar's tuning.